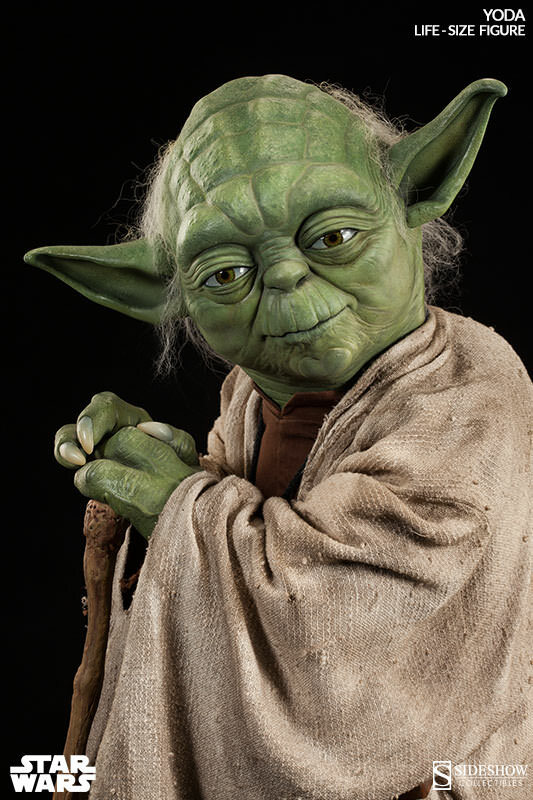 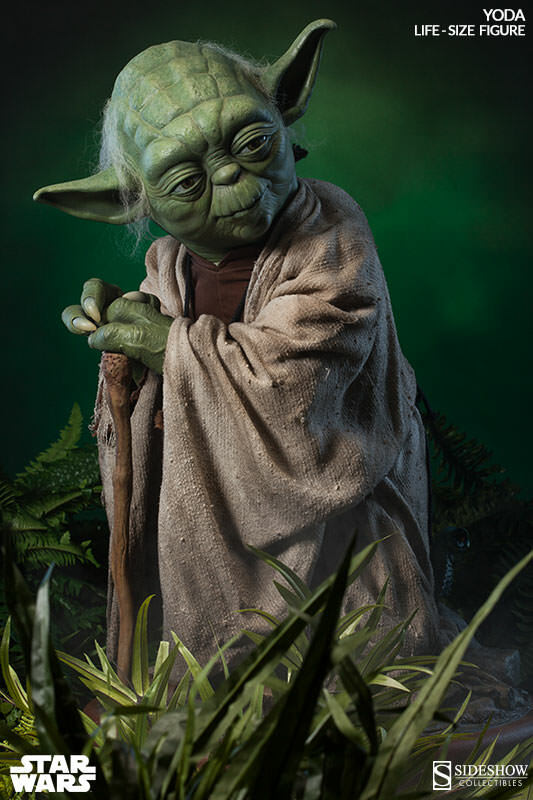 Continuing a much celebrated Star Wars Life-Size legacy collection, Sideshow Collectibles is proud to present the Yoda Life-Size Figure. 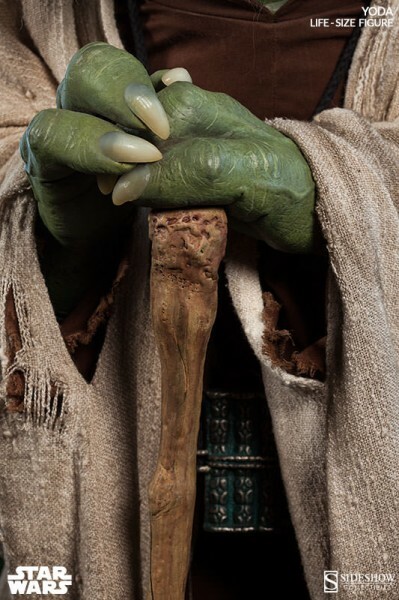 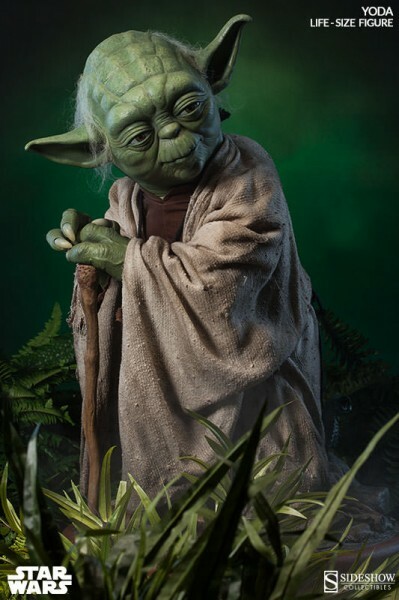 Capturing Luke Skywalker’s wise and powerful mentor in astonishing detail, Master Yoda appears in his meticulously tailored Jedi robes, resting serenely against his cane as he contemplates the mysteries of the Force. 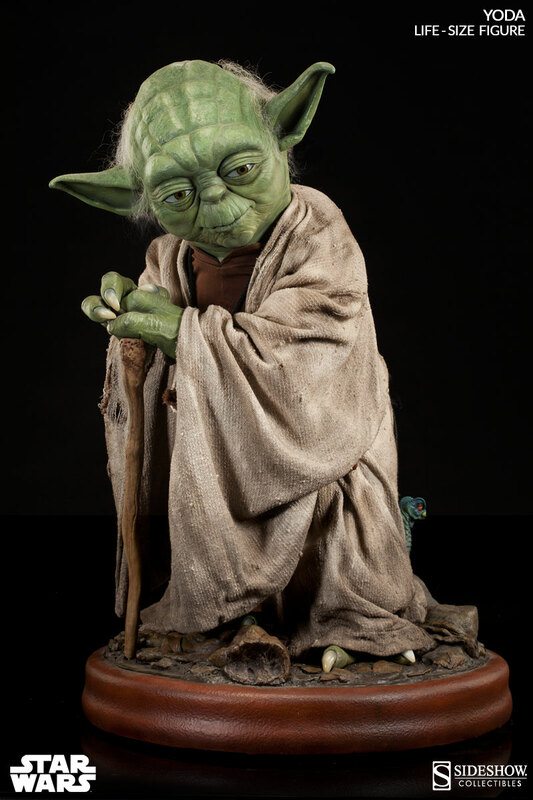 Sideshow’s artists have perfectly captured the magic of Frank Oz’s original puppet in this magnificent replica, with features so realistic that you’ll expect him to spring to life at any moment. 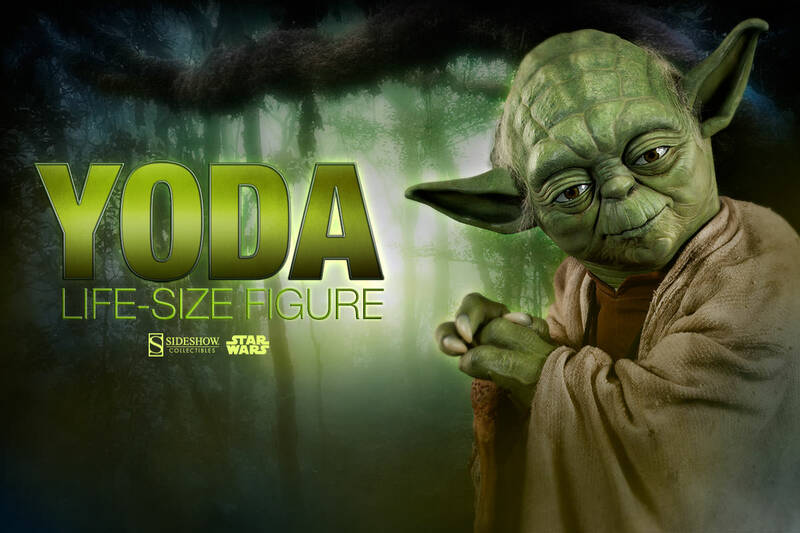 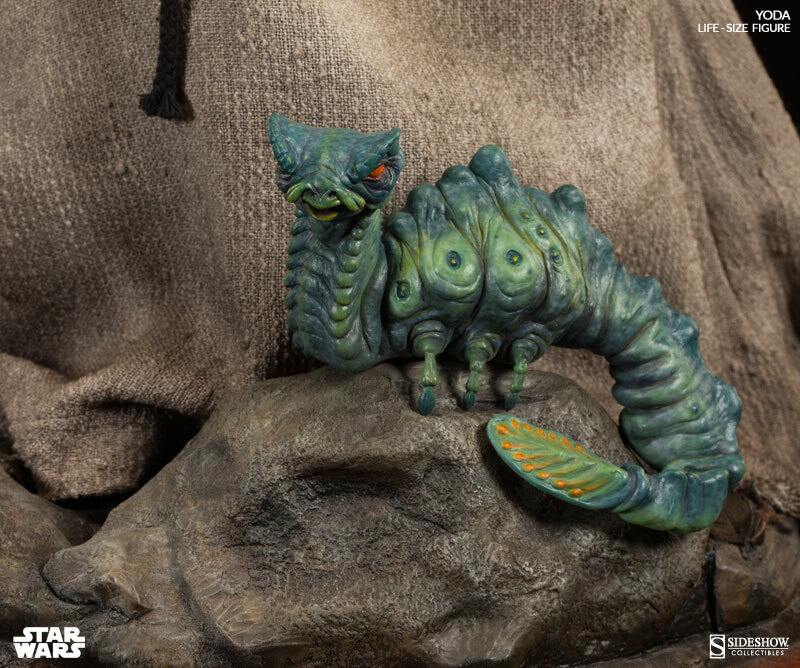 Standing 32 inches tall on a Dagobah themed environment base, joined by a colorful morp critter, Sideshow’s life size Yoda replica is a dream come true for any Star Wars collector!